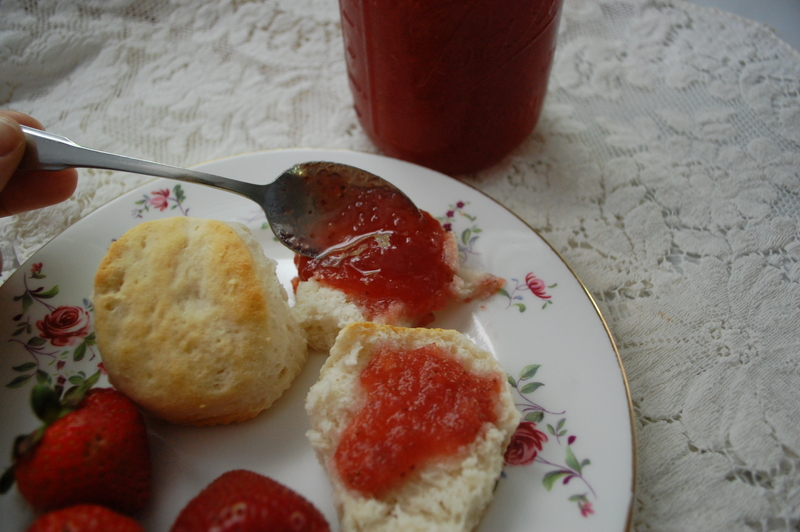 The second recipe in my Downton Abbey tribute series is also from Heirloom Cooking with the Brass Sisters. 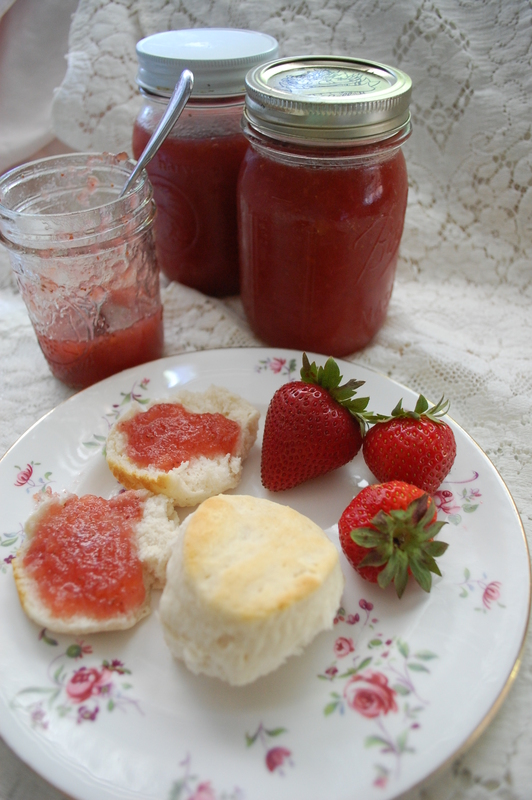 It dates back to the 1920’s and seriously, this may be one of the most delicious things I’ve ever made. These rich treats are versatile. 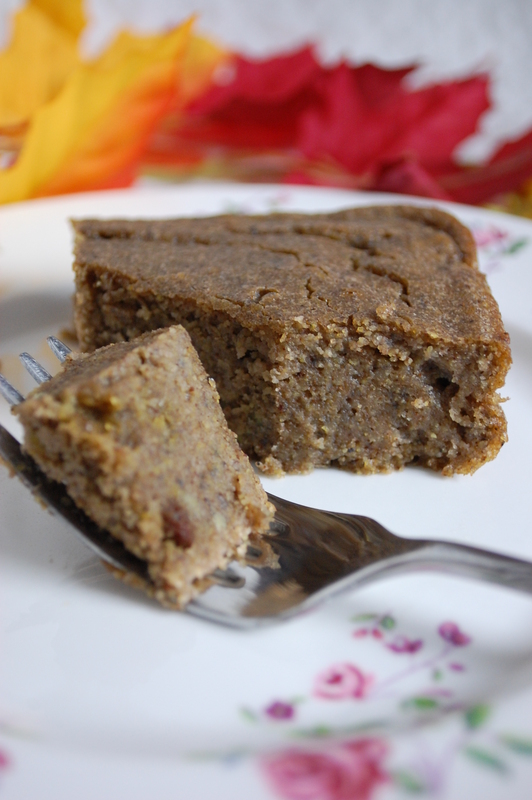 They can be served as a breakfast bar, with tea (as their name suggests), or as dessert. If you don’t like apricots, you could use figs or dates or a can of raspberry paste for filling, which you can find with the pie fillings at your local grocer. 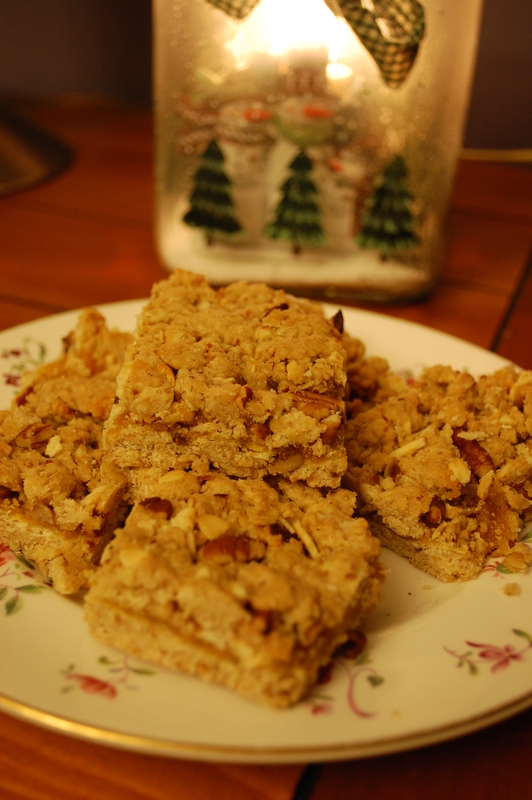 Whatever you do though, do not substitute or leave out the pecans if you can help it-they make this recipe fabulous! 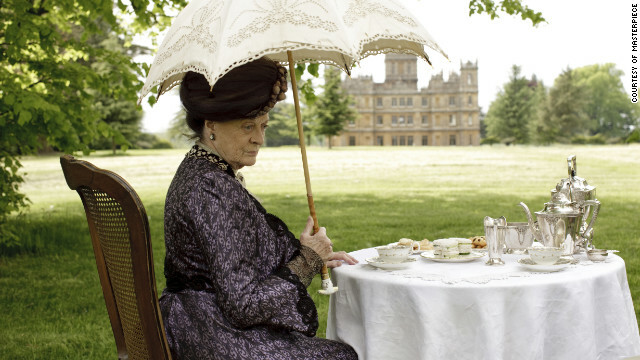 The Dowager Countess takes tea seriously. Whenever there is business to be discussed, she believes it’s best done over a table of Earl Grey with little sandwiches and sweets. I did take one liberty-the original recipe calls for 1 ½ cups butter. I reduced it, by quite a lot. You don’t need that much butter-it tastes just as good, and sticks together just as well, with half the amount. Note: To toast pecans (or any nut), just place nuts on foil-lined cookie sheet coated with cooking spray and bake in preheated 350 degree oven for 10 minutes, stirring halfway through. Try not to eat them before you have to use them! Place oven rack in middle of oven and heat to 350 degrees. Line bottom and sides of 9×13 inch metal pan with foil. Coat with cooking spray. 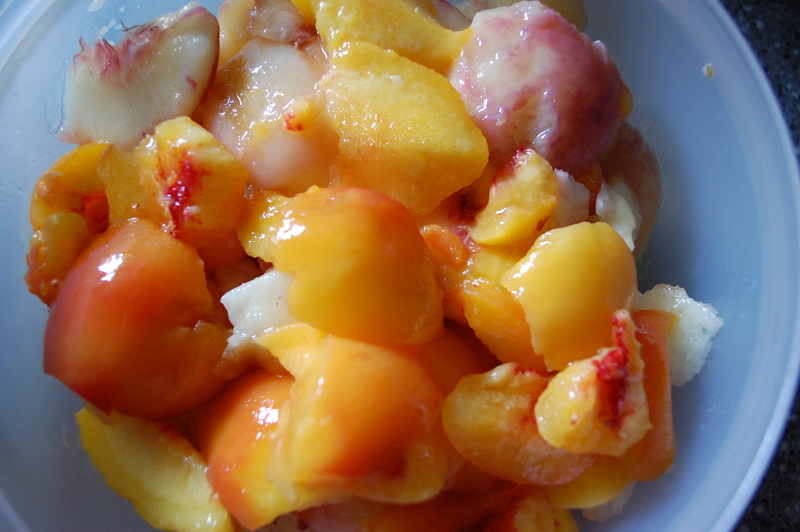 Place apricots and sugar in saucepan. Cover with water and bring to a boil. 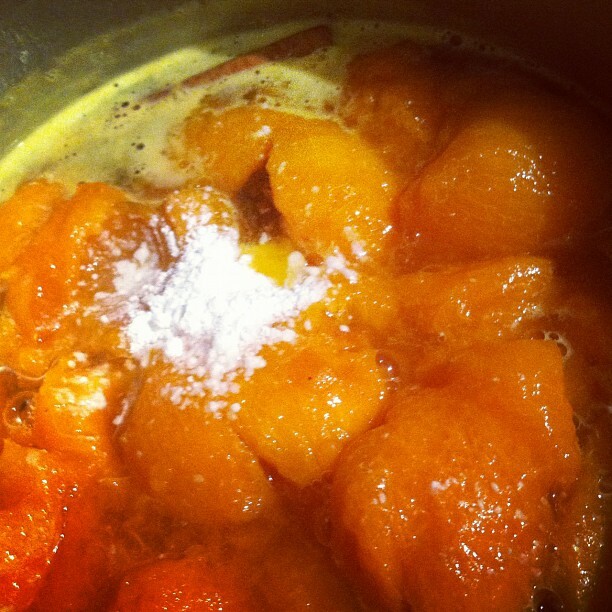 Reduce heat and simmer until apricots are soft and plump, about 15 minutes. Drain and place in a bowl to cool. Meanwhile, combine flour, salt, oats, and bread crumbs in large bowl. 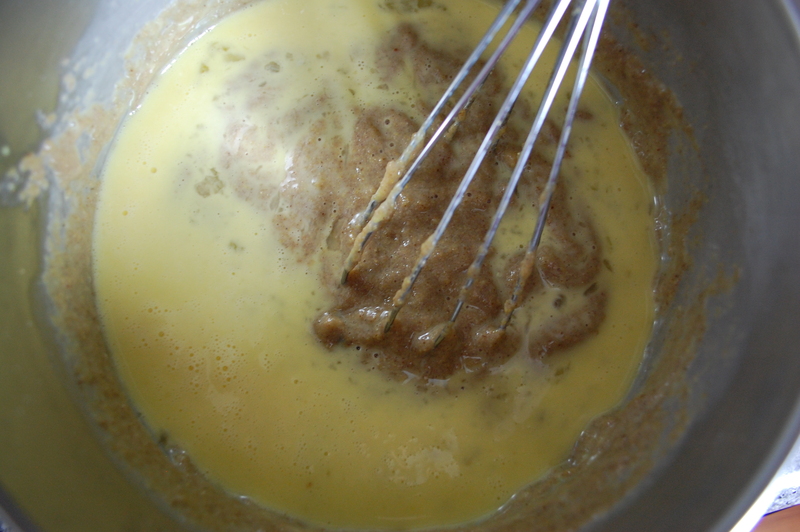 Cream butter and brown sugar with mixer. 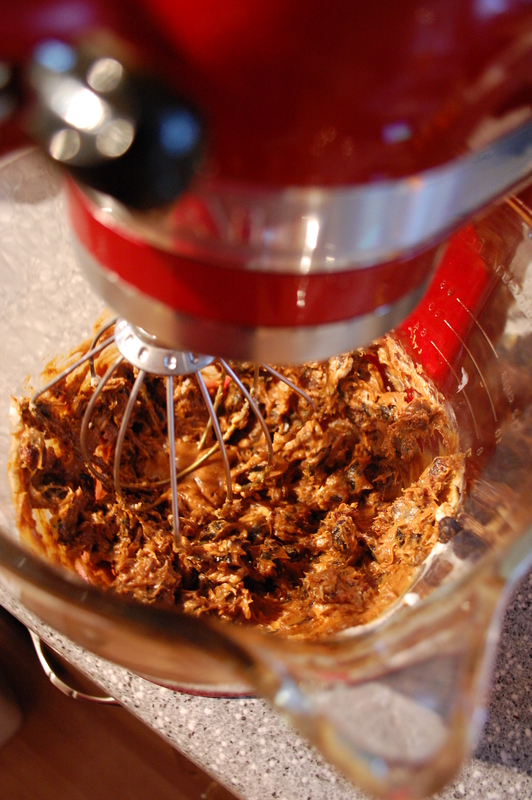 Add dry ingredients and mix to combine. 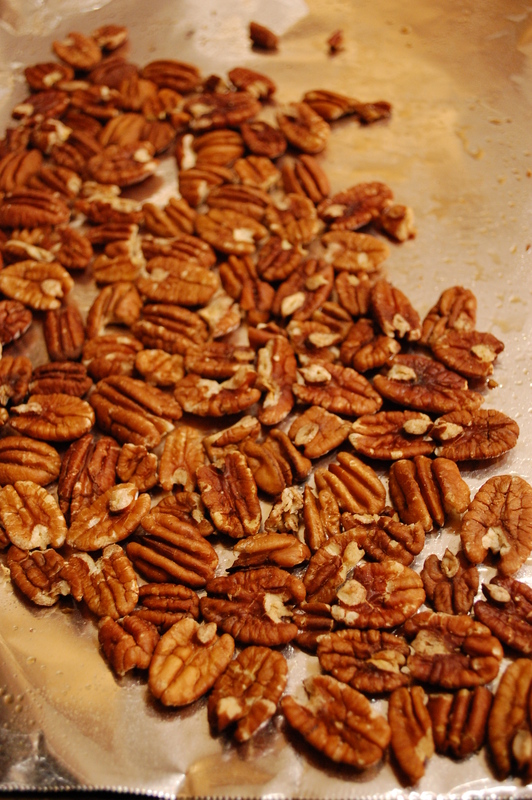 Fold in pecans with spatula. Spread half of mixture over bottom of prepared pan. 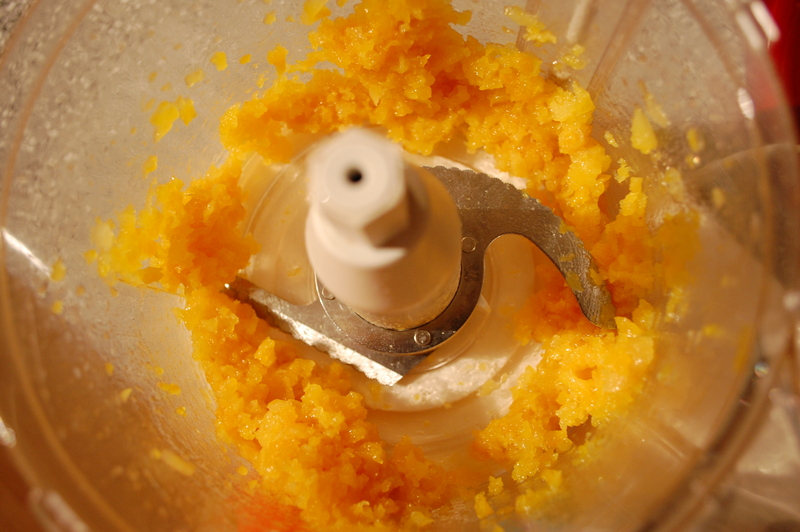 When cool, place apricots in food processor with lemon juice and pulse until it forms a soft paste. 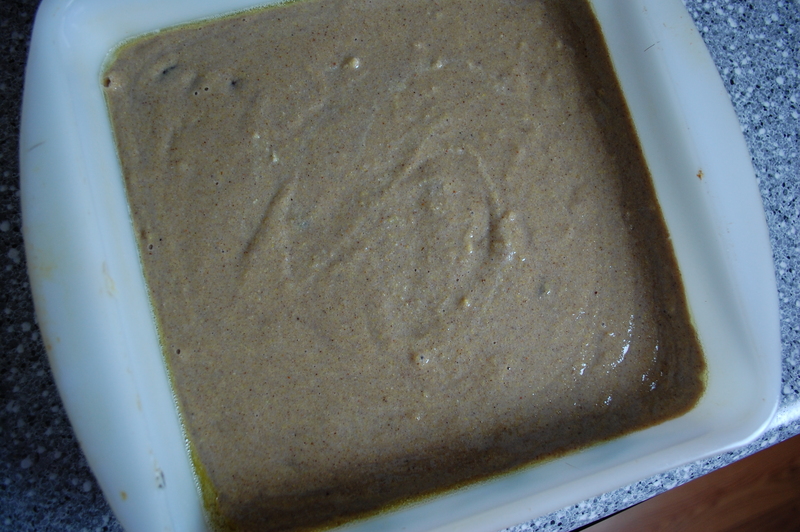 Spread this paste over the pecan/oat mixture as evenly as possible. 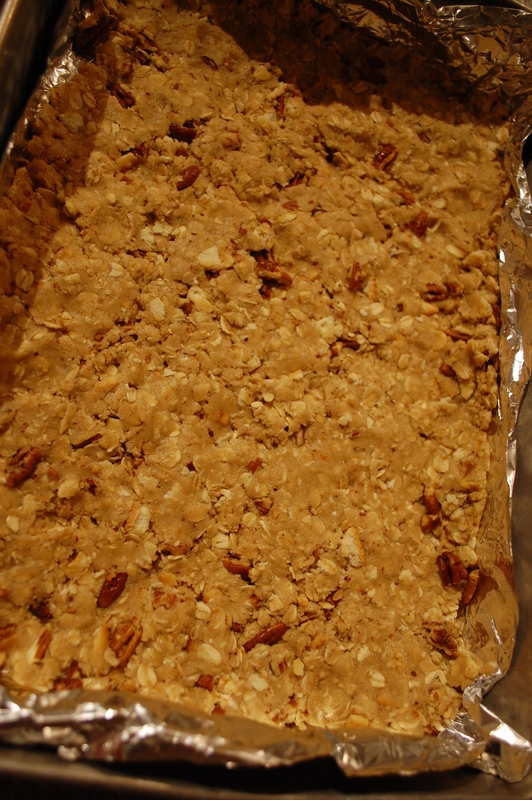 Top with the rest of the pecan/oat mixture. Pulsed and ready for spreading! 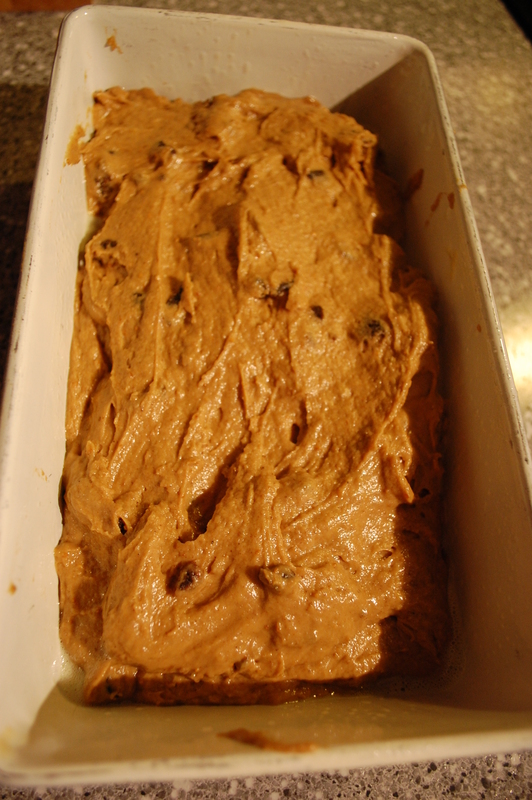 Bake for about 40-45 minutes or until top is light, golden brown. Cool completely. Bars will firm up as it cools. Cut into squares and serve! Enjoy! I think I’ve told you before that my friends are the best. They support my silly historical cooking hobby with their enthusiastic comments and their willing stomachs-and sometimes with their gifts! 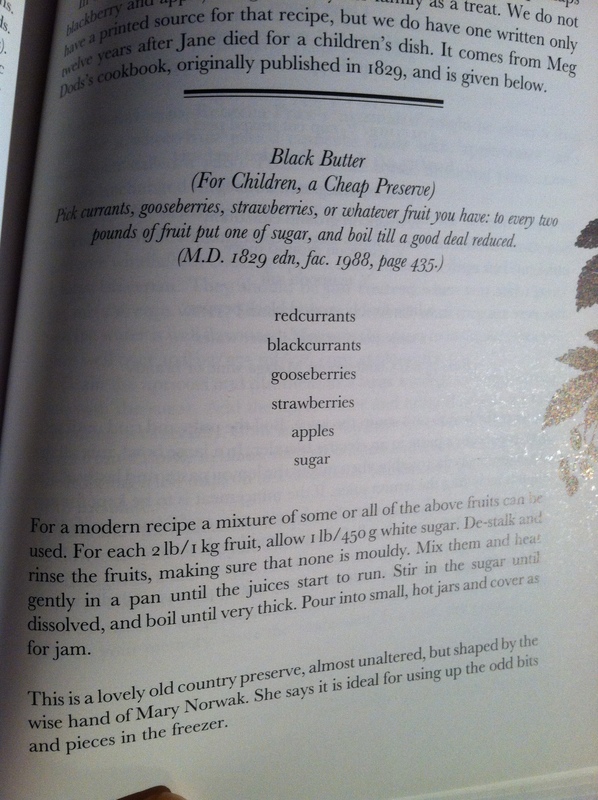 My friend Jen is to thank for adding three cookbooks to my collection, including two which I used for this recipe. 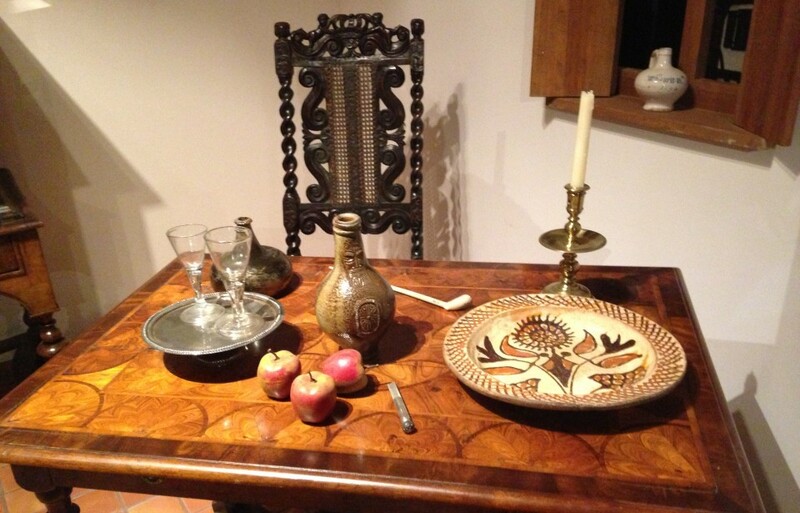 The first is Martha Washington’s Booke of Cookery and Booke of Sweetmeats. The book was not actually published until 1981 but the recipes are all from the personal, handwritten cookbook of the first First Lady of the United States, which were considered a family heirloom and kept as such long after her death. The second cookbook Jen bought for me was The City Tavern Cookbook-Recipes from the Birthplace of American Cuisine. This was published in 2009 but again, it contains many recipes which originate in the kitchens of City Tavern-a Philadelphia restaurant and bar which first opened in December 1773 and was the scene of many a meal by our country’s forefathers as they discussed the formation of the government and its early affairs. It still serves customers today, featuring an eighteenth-century style menu. Again, I plan to do many a recipe from this cookbook too! 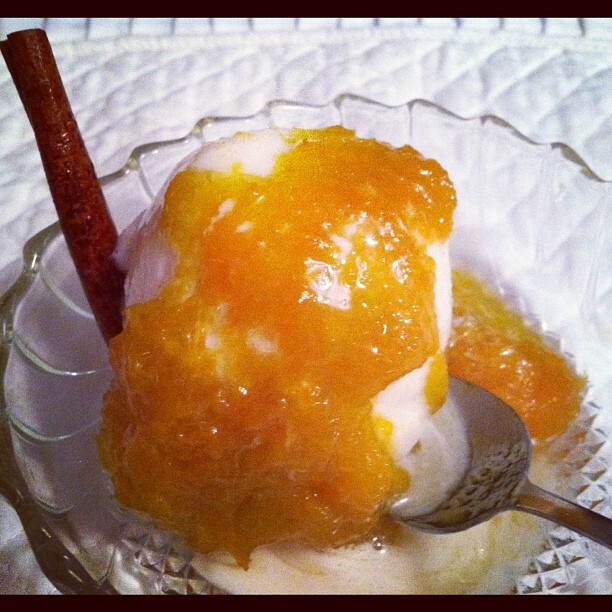 The City Tavern cookbook does an excellent job of translating Martha’s recipe for Candied Apricots. Below is Martha’s original version. You’ll note the inclusion of green wheat. 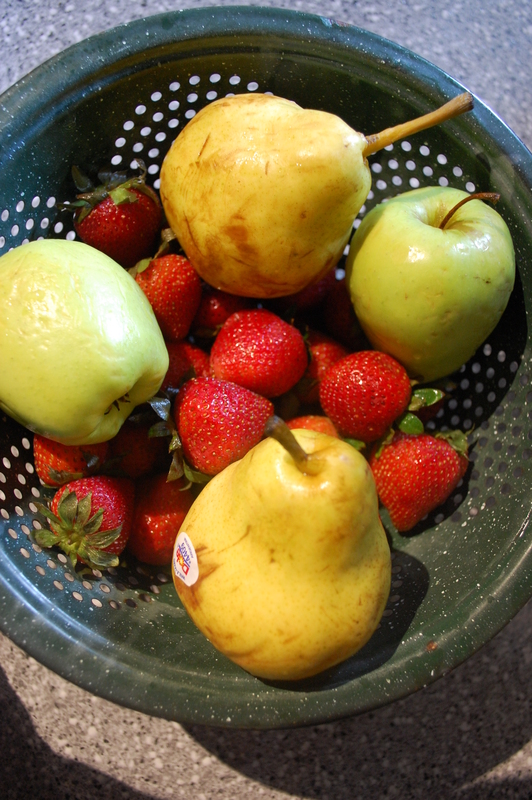 Apparently, it was common in Martha’s days to color your candied fruit green whenever possible! You’ll also notice that they spelled “apricot” and several other words quite differently in Martha’s time. Take your Apricocks, pare them and cut them into chipps, and put them into running water with A good handful of green wheat, before it be eard (before it starts to ear). Then boyle them a little, after take them from the fire, and put them in a silver or earthen dish with a pretty quantity of good white sugar finely beat. Then set them over the fire till they be dry, and they will look clear and green. Then lay then on glas then in a stove A whil, & then box ym. See why we need a translation? I came into possession of 15 gloriously ripe apricots thanks to another friend named April, who handed me the bag and said, “I know you’ll make something great with these.” It was a challenge I had to accept! • ¼ cup orange liqueur like Cointreau or Triple Sec. 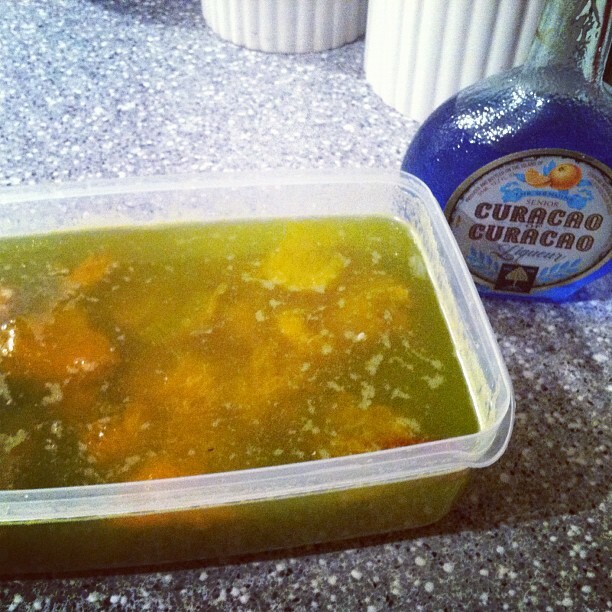 I used orange Curacao! 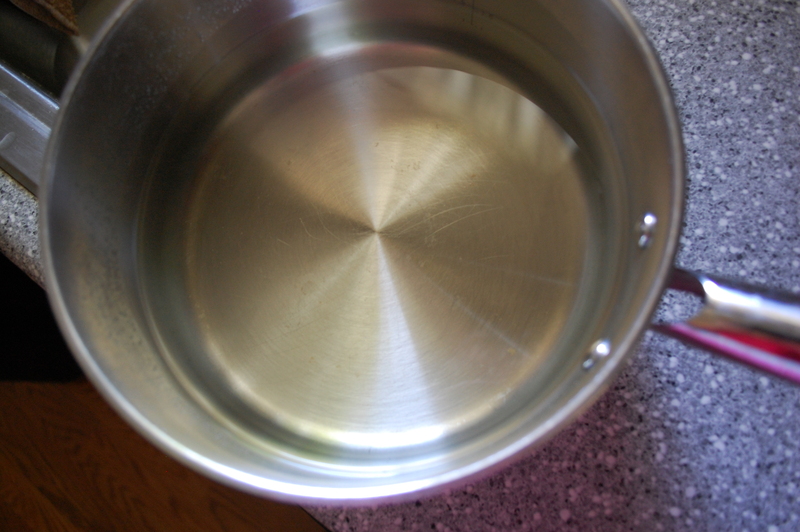 Fill a large stainless steel bowl with ice water. Bring a medium size pot of water to boil. 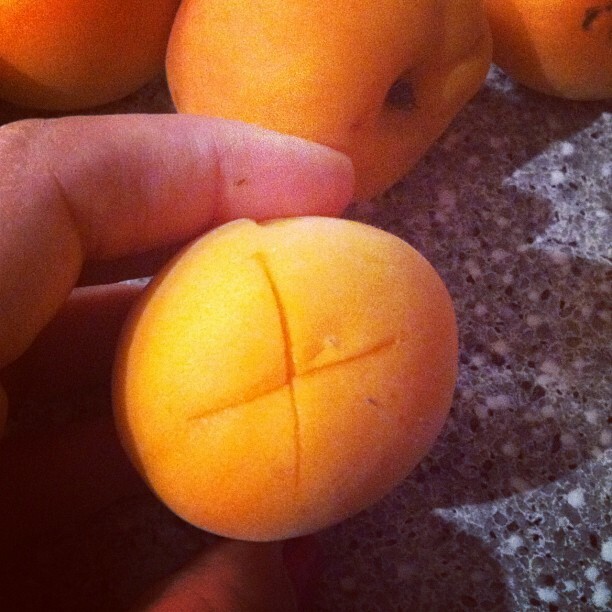 Using a paring knife, score the bottoms and tops of each fruit with an “X”. 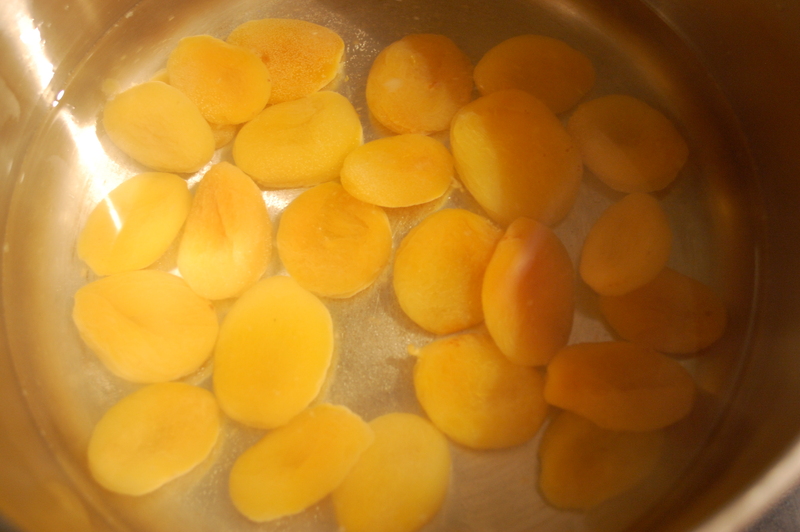 Drop five apricots at a time into the boiling water-cook for 30 seconds. Remove the apricots and submerge them in the ice water. 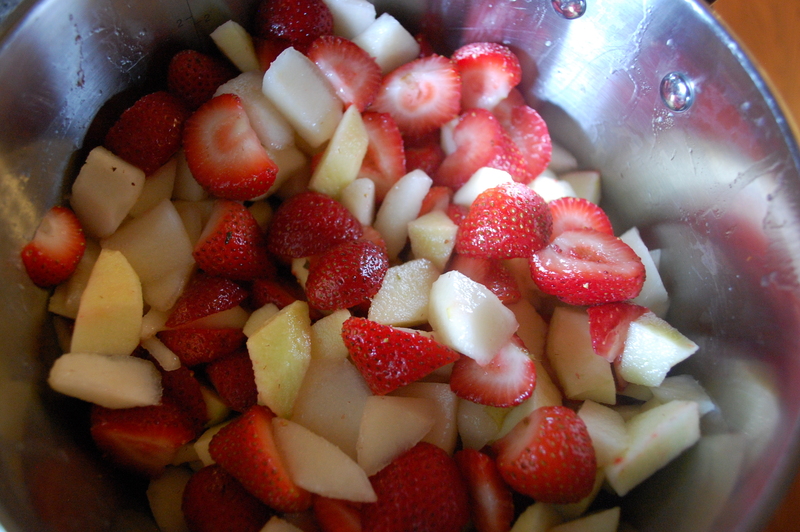 Quickly peel the skins from the fruit. 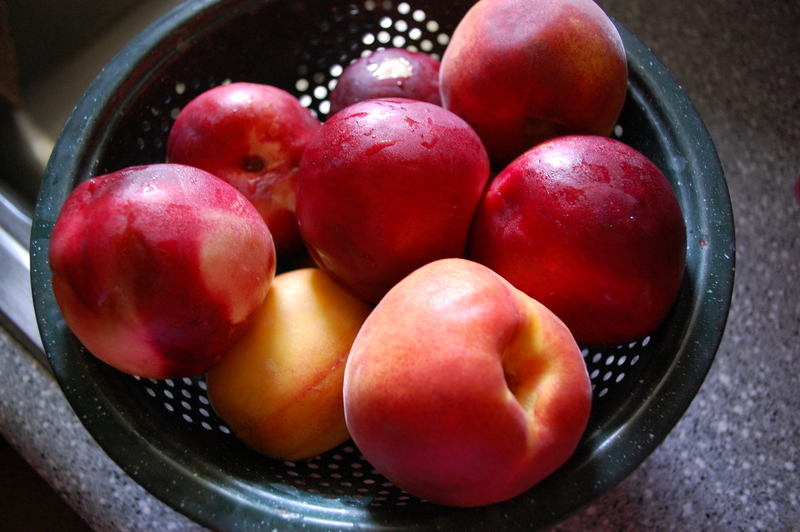 Place the apricots in a bowl and set aside. 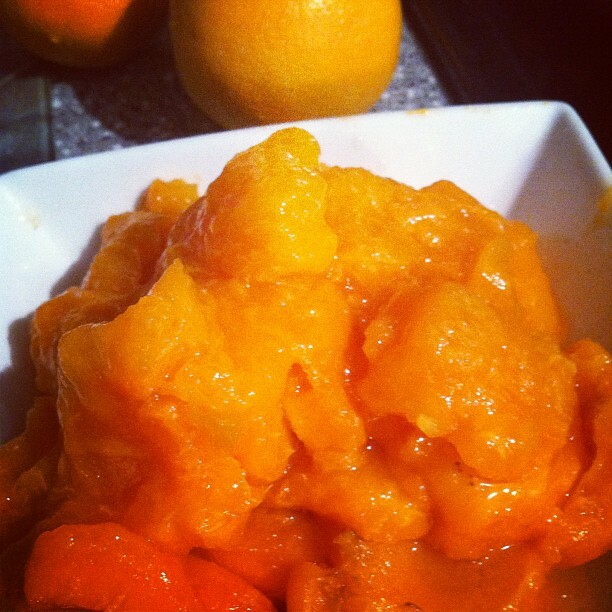 In a medium-size pot, add 2 cups of water, the sugar, orange juice and honey and stir to combine. Brush the sides of the pot with a pastry brush dipped in cool water, making certain no sugar crystals remain. Bring the sugar mixture to a boil. Remove the pot from the heat. Add the apricots, cream of tartar and cinnamon stick to the pot. Return the mixture to medium-high heat and cook until it reaches a temperature of 260 degrees F on a candy thermometer, about 10 minutes. Make another ice bath, this time in the your sink, with the water about two-three inches high. Remove the pot from the heat and set it in the ice bath in your sink. Allow the apricots to cool to room temperature. Transfer to a plastic container. Cut the lemon in half, pick out the seeds, and squeeze the juice over the apricots. Stir to mix. With a wooden spoon, stir in the liqueur. 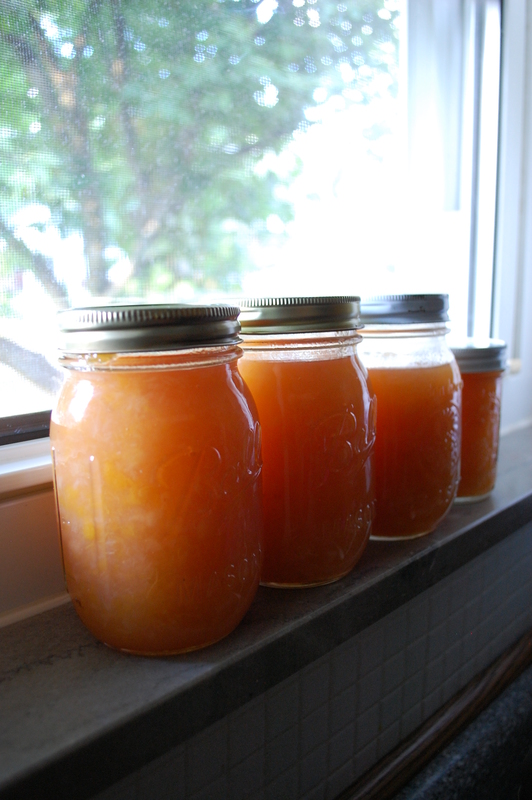 Cover and refrigerate the whole thing for two days, to let the apricots absorb the syrup. 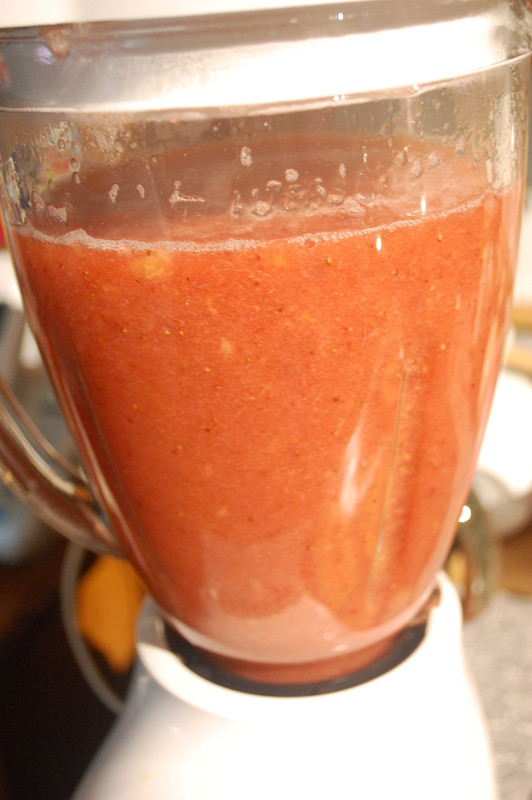 Serve, or store in an airtight container for up to 2 weeks. It says you can store it at room temperature but I put mine in the refrigerator. You’ve probably sung the words a zillion times… “Oh bring us some figgy pudding!” But my guess is that, like me, you’ve never actually eaten figgy pudding. 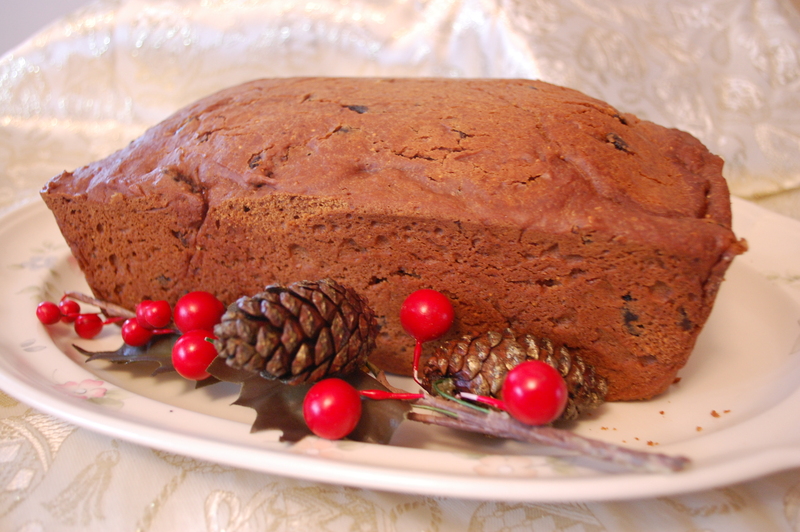 Fig pudding dates back to the mid 1600’s and was a traditional English Christmas dessert-and it’s more like a bread, in my opinion, that what we think of these days as a pudding. There are dozens of recipes available online-and two main methods for cooking it-steaming or baking. Steaming is a more traditional method-it takes longer but also leaves you with a product that lasts longer-a big plus for old world cooks without a refrigerator or a handy supply of Tupperware. Although the idea of steaming slightly unnerved me, I decided to try it… just because I’d never done it! After searching through countless recipes, I landed on the one below-first published in 1881 in “Miss Parloa’s New Cook Book.” According to Foodtourist.com, Maria Parloa was the 19th century version of Julia Child… a lecturer, columnist, and author of some 13 cookbooks. 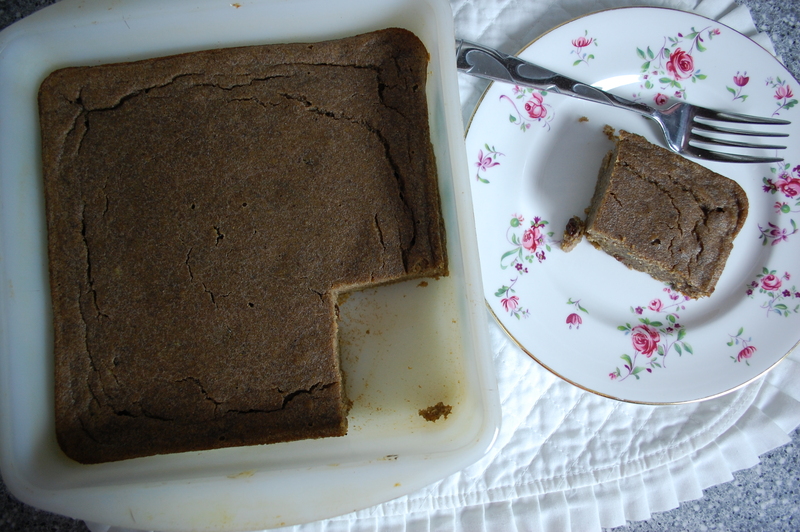 I liked this recipe because it leans on the sweet side-some of the other recipes I encountered sounded too much like mincemeat pie. I did make a few of my own adjustments and the steaming part turned out to be quite easy! 1/2 teaspoonful of clovesMix together the molasses, Crisco, cinnamon, nutmeg and cloves, and the figs, cut up with a set of kitchen shears (refrigerate the figs for a half an hour to make them firmer and less sticky when cutting.) Dissolve the baking soda with a tablespoonful of hot water, and mix with the milk. Add to the other ingredients. 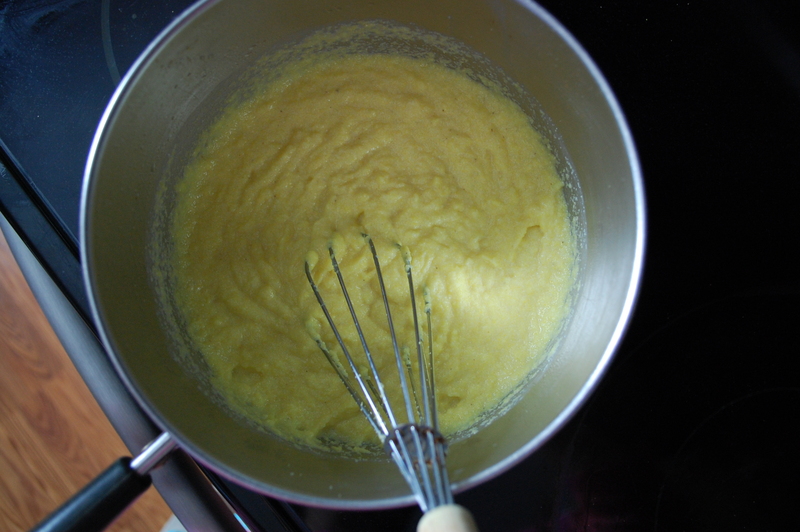 Beat the eggs slightly, and stir into the mixture. Add the flour, and beat thoroughly. 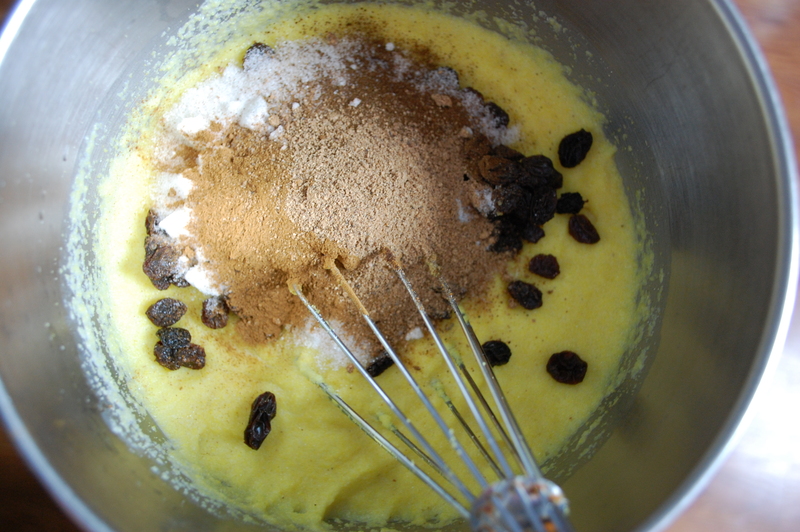 When it was all beaten together, the batter resembled my favorite pumpkin bread-fluffy and sweet. I chose to use a regular bread pan as my mold. Grease it well! To steam it, I set the oven at 350 degrees. 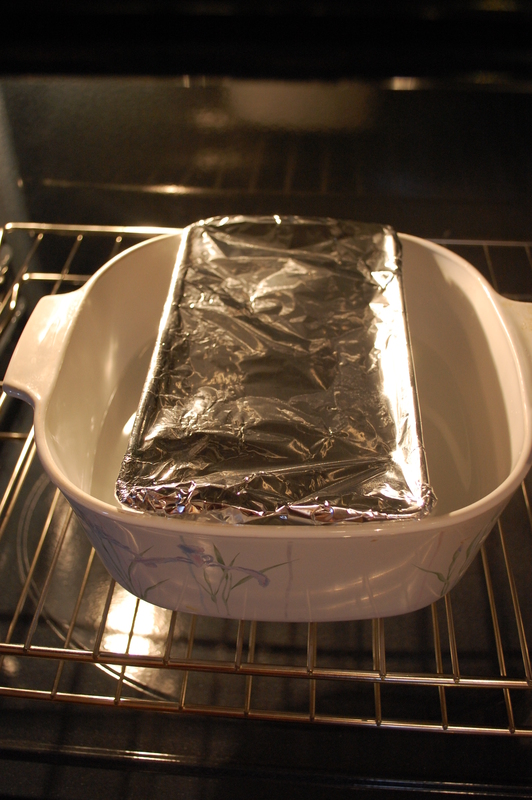 I put a greased piece of foil tightly over the bread mold and set it inside a large casserole dish. Then I added about two to three inches of hot tap water, until the water came about halfway up the mold. I let the pudding steam like that for two hours. Steaming time recommendations vary for puddings-from two to five hours and I really had just decided to check it at the two hour mark, but it was plenty done by that time. Turn the pudding out immediately onto a serving tray and garnish. It’ll fill your house with a warm, gingerbread-like smell. Serve it warm with a couple of spoonfuls of warm vanilla cream sauce-made by beating 1/4 cup of softened butter with a half a cup of powdered sugar, 1/4 cup plus four tablespoons of heavy whipping cream, and a tablespoon of vanilla extract. Warm the sauce in the microwave for a minute before spooning over the pudding. It was really delicious-my girls loved it! And now, you can make this little Christmas gem and always be prepared in the event that carolers come knocking, demanding traditional English Christmas desserts! Merry Christmas from my family to yours!